One of my favourite TV shows right now is “Top Chef” and “Top Chef Canada”. Frankly, I’ve got a bit of a crush on both Tom Colicchio (head chef judge on Top Chef) and Mark McEwan – head chef judge on Top Chef Canada. 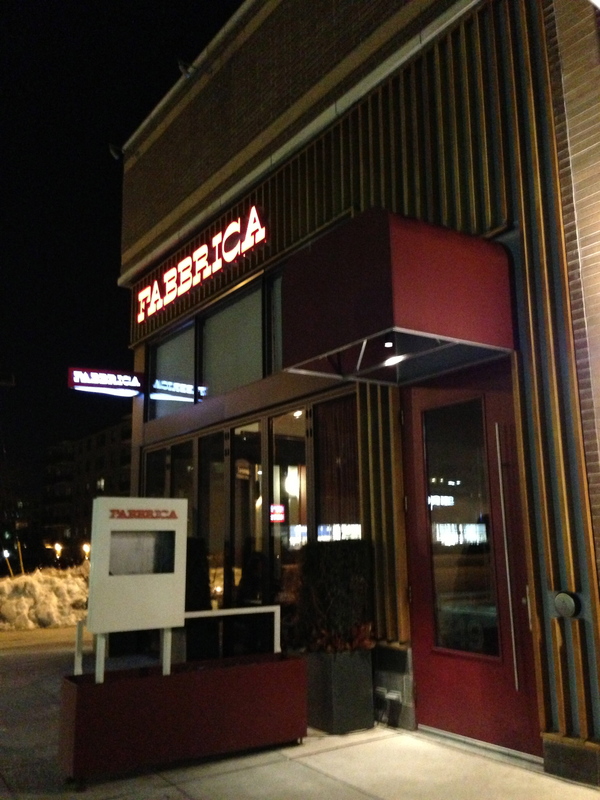 So I recently had the chance to have dinner with a friend at his latest restaurant, Fabbrica. 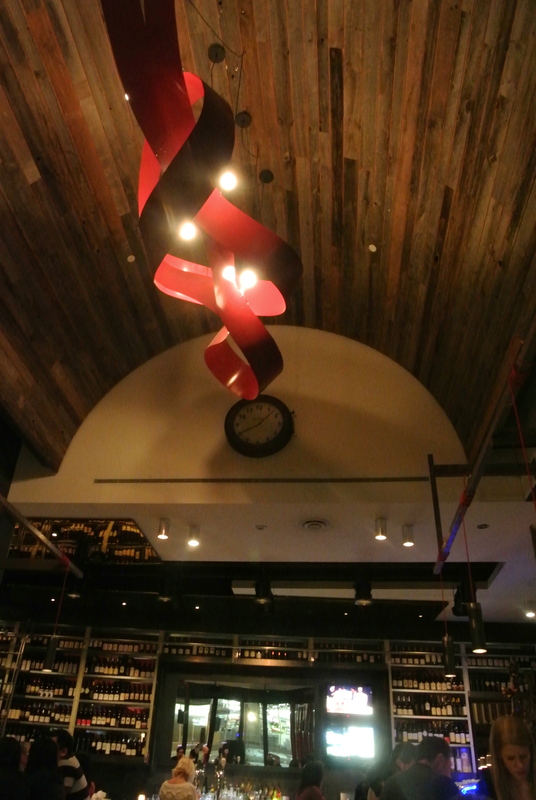 Fabbrica, is an italian restaurant where its cuisine is made from the highest of quality italian ingredients. It was a cold night and I felt like eating something comforting and the fettucini carbonara was just calling me. Made with crab, guanciale (italian unsmoked bacon), cream and topped with a poached egg – something I haven’t seen yet done on a pasta dish. 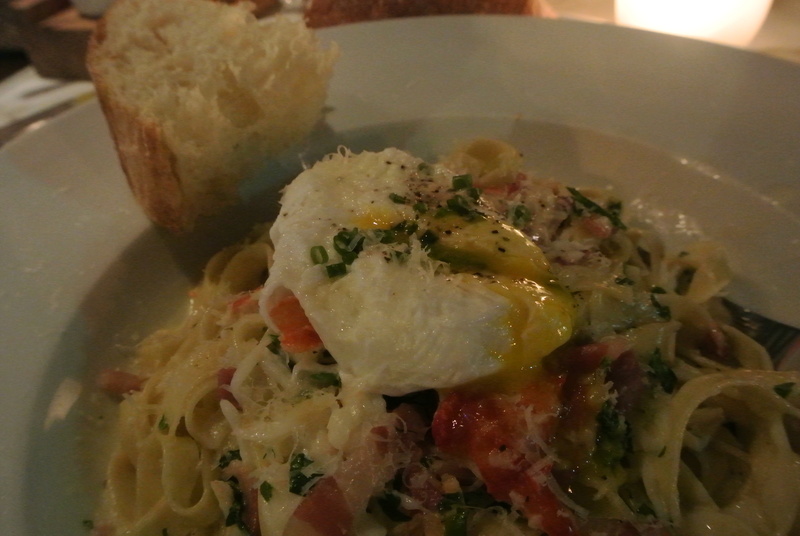 The yolk, still soft and liquid, when you break it oozes out and tastes great when you swirl the pasta in it. It did exactly what it was supposed to do, comfort me and keep me warm. The best part of the dinner however was the desserts. 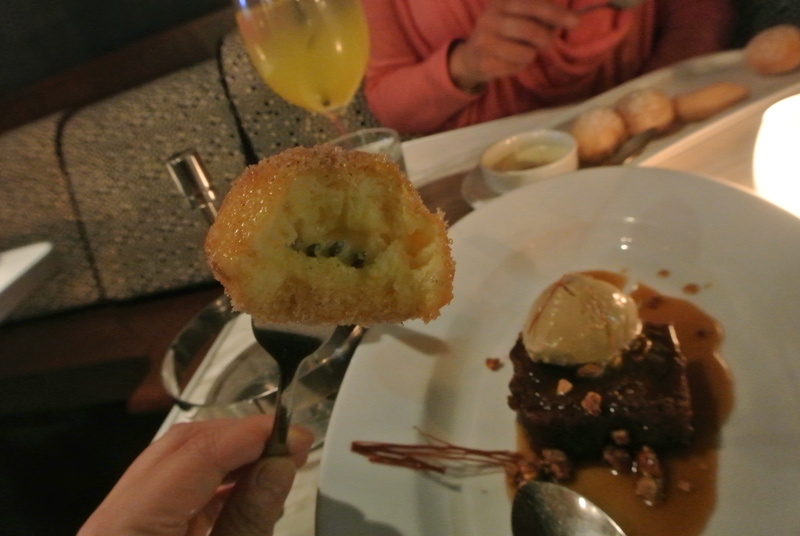 The budino was sticky, warm and sweet but the bombolone donuts were delicious! Really light and airy and stuffed with a custard cream – fabulous! YUM! 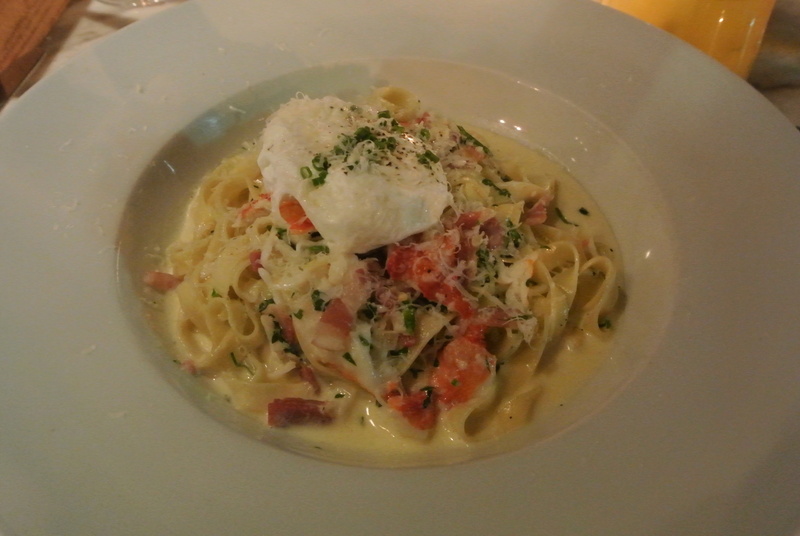 My entree – rich and creamy fettucini carbonara. 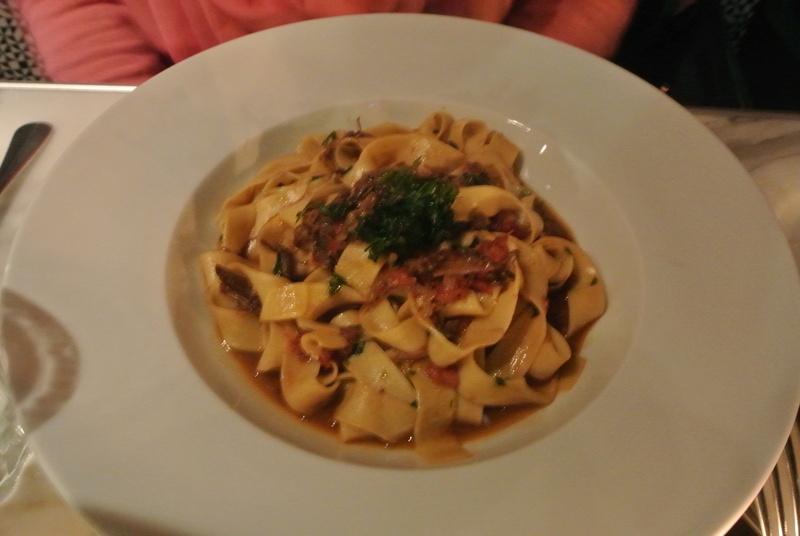 Pappardelle with short rib, tomato and basil. 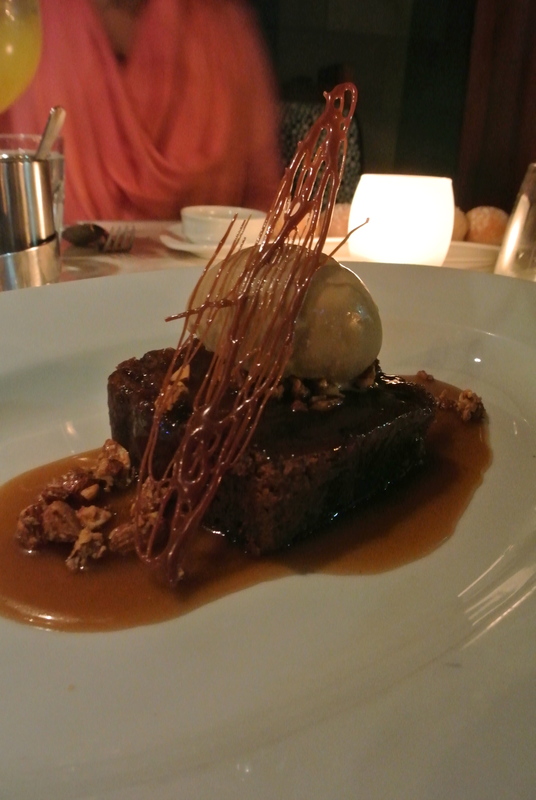 Delicious Budino – warm sticky toffee pudding with espresso gelato. 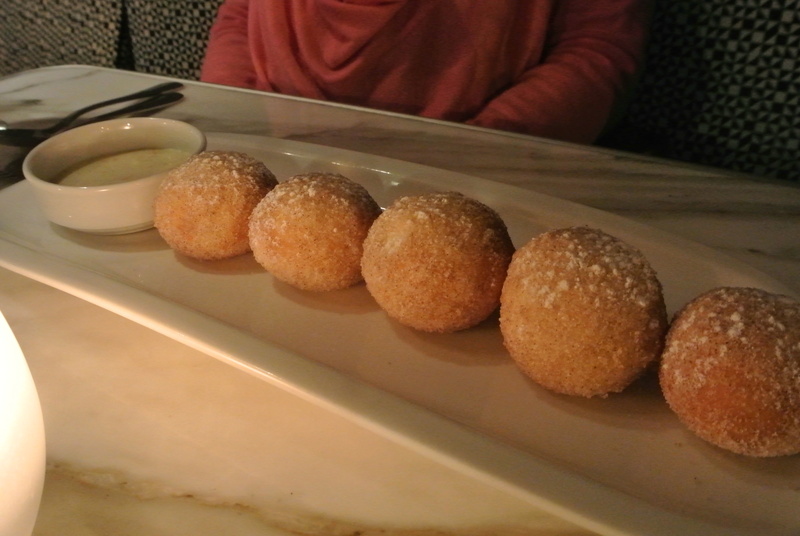 Bombolone – warm donuts stuffed with orange cream and white chocolate yogurt dipping sauce.